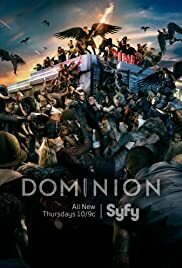 How many episodes of Dominion have you seen? Best new show this season. 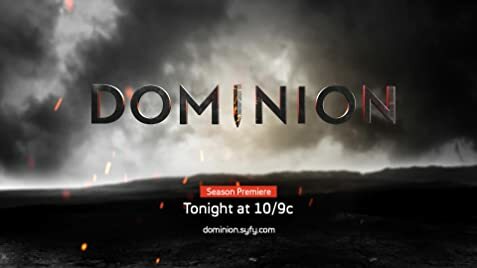 I heard about this show because of a random review on io9. It's great, a worth successor to the movie 'Legion'. As a television series it plays very well to the plot introduced in the movie. So much so that I went back and watched Legion again just to catch any details I may have missed the first time through, and even just to appreciate the attention to detail they have put in to this new series. Be warned if you do go back and watch the movie, there will be some give-a ways. The depth is there, and the continuation of the plot line from the movie is rewarding and engaging. Fingers crossed that the writing, production, everything keeps getting better and better.